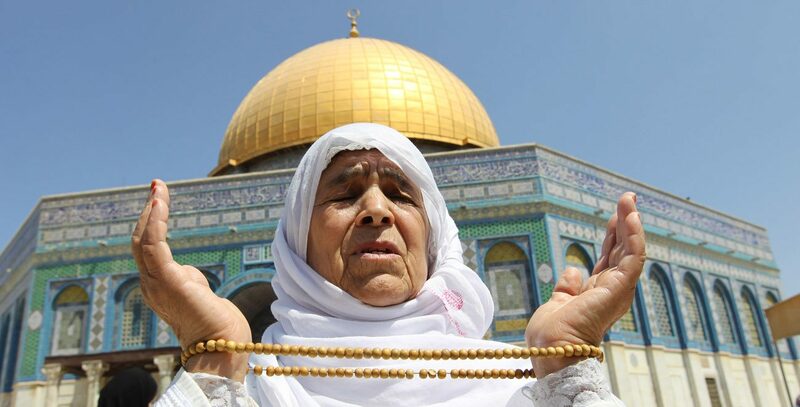 JERUSALEM (CNS) — While a majority of Muslims in the Middle East and North Africa say religion is “very important,” religion tends to be less central in the lives of those living in Israel, according to results of a survey released May 18 by the Washington-based Pew Research Center. Nevertheless, the survey found that compared to other religious groups in Israel — including Jews, Christians and Druze — Israeli Muslims are highly devout, and 68 percent say religion is “very important” in their lives. That number is significantly lower than the 89 percent that say the same in Morocco, according to the survey. Among those countries polled in the region, Lebanon is the only one where only a slim majority — 59 percent — of Muslims say religion is very important in their personal lives. “In the larger context of the Middle East and North Africa, Israeli Muslims actually place less emphasis on religion and some of the key pillars of their faith than do Muslims in neighboring countries,” said the Pew Center. For example, they said, religious observance of three of the five pillars of Islam, which all Muslims are expected to observe, was lower among Israeli Muslims than that reported in Muslim-majority countries of the region. Israeli Muslims have a relatively low rate of salat, the five daily prayers required by Islam. Only 52 percent of Israeli Muslims adhere to that tenet compared to a regional median of 63 percent — including 83 percent in Iraq. In addition, they have a lower rate of alms-giving than Muslims in other countries — 66 percent as opposed to the regional median of 77 percent. While 83 percent of Israeli Muslims observe the ritual dawn-to-dusk Ramadan fast, this is a significantly smaller percentage than in Muslim-majority countries, with a median of 94 percent across the region. Observance of this religious ritual during the monthlong fast reaches 98 percent in Morocco and 96 percent in Tunisia. The survey included statistics from Iraq, the Palestinian territories, Morocco, Egypt, Jordan and Lebanon. The survey noted that, in some cases, religious observances of Israel’s Muslims are on par with other Muslims in the region. For example, 97 percent of Israeli Muslims say they believe in the Muslim shahada, or profession of faith, “There is no God except Allah, and Muhammad is the prophet of Allah,” compared to 100 percent of Muslims throughout the region. In addition, Israeli Muslims are somewhat more likely to observe the final pillar of Islam — the annual pilgrimage to Mecca — than Muslims in many nearby countries. Nearly a quarter of Israeli Muslims having made the hajj, compared with just a handful of Muslims in Morocco (6 percent) and Tunisia (4 percent) and 20 percent in Egypt and Lebanon.